Every now and then (cannot reproduce it) the content of a window in AP gets minimized in the upper left corner. Zooming in/out shows the real content for a short moment and then it pops back into the corner. 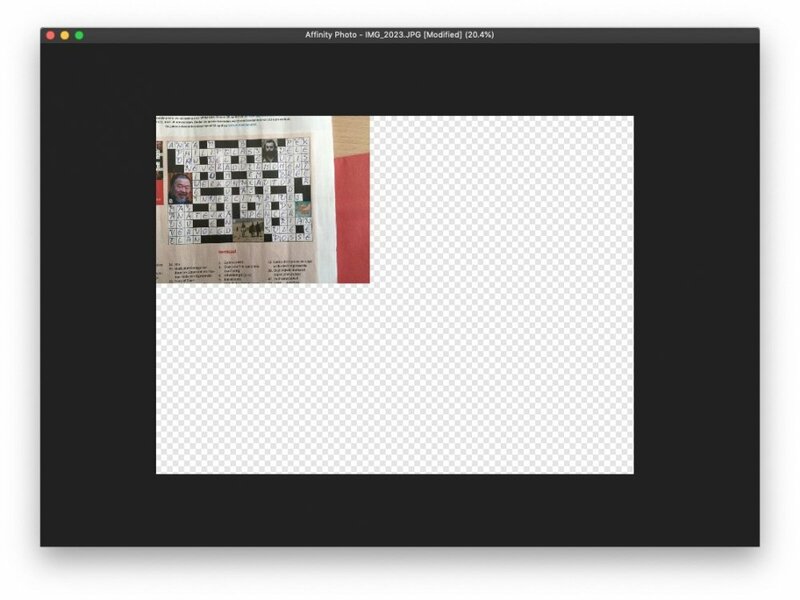 Saving , closing and reopening shows the normal version, but after a zoom action it pops back into the upper left corner. Anyone familiar with this behavior ? I have the latest graphics drivers; they are included in every system-update on the Mac. Besides that . . . AP is the only app that shows this behavior. Oh my bad. Sorry. I was under the impression this is on Windows. GO to Preferences > Performance and Switch Retina Rendering to Low Quality. This will stop the issue. OK, I will try, thanks.